QUEENSLAND, Australia -- This is sure to get your spidey-sense tingling. 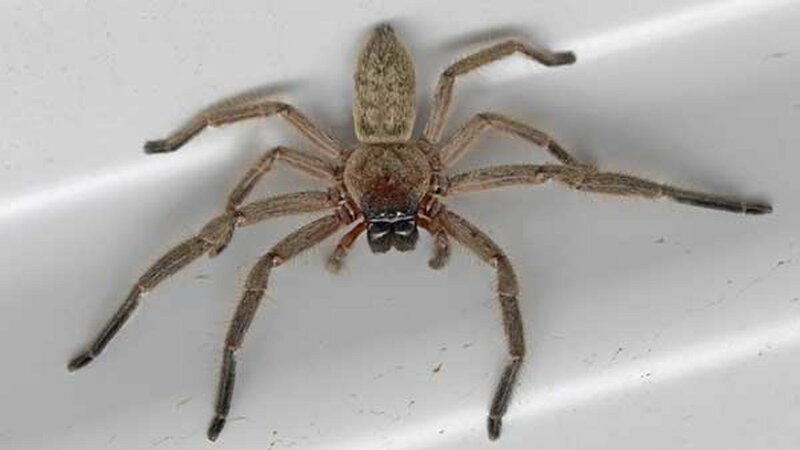 In what is just the latest in a long line of extraordinary Australian animal videos, a Queensland man spied a Huntsman spider carting off a full-grown -- mercifully, apparently dead -- mouse and quickly called over his neighbor to witness the creepy feat of strength. "So I am just about to leave for work about 0030 and me neighbour says 'You want to see something cool' and I say 'Hell yeah.' So we proceed to his place and he shows me this. Huntsman trying to eat a mouse," Coppabella, Queensland resident Jason Womas posted on Facebook. The 20-second long video shows the hearty arachnid skittering across a refrigerator with its furry prize as a voice -- apparently Womas' -- expresses approval. "What's he going to do with him," he asks rhetorically. "Mate, that is so cool." He then laughs at the spine-chilling sight. A series of images show the spider in its full glory and impresses the enormity of the task for the spider -- the rodent is significantly larger than its own body. Huntsman spiders, which are part of the informal "hairy scary" variety given their size and scuttling speed, usually subsist on a diet of insects and other invertebrates. Their venom is non-deadly to humans -- although large specimens can give humans a painful bite. Despite this, Womal and his neighbor have decided to adopt the eight-legged houseguest, naming it -- Hermie -- and joking that it is now "running (its) own extermination business." "Ok guys so just letting you all know that the spider is fine. We have named him Hermie, we have adopted him and he is now running his own extermination business out of our town Coppabella. Oh and he is now paying rent."